Before 4/19/2018 a discount of $5.00 will apply to all Scout/Cit in World Registrants. Before 4/19/2018 a discount of $5.00 will apply to all Scout/Fishing Registrants. 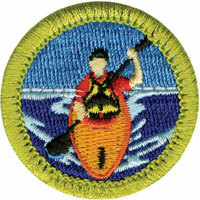 Before 4/19/2018 a discount of $5.00 will apply to all Scout/Kayaking Registrants. Before 4/19/2018 a discount of $5.00 will apply to all Scout/Swimming Registrants. After 5/18/2018 a fee of $5.00 will apply to all Scout/Cit in World Registrants. After 5/18/2018 a fee of $5.00 will apply to all Scout/Fishing Registrants. After 5/18/2018 a fee of $5.00 will apply to all Scout/Kayaking Registrants. After 5/18/2018 a fee of $5.00 will apply to all Scout/Swimming Registrants.